Automate, Customise, Personalise your accounts receivable process to get paid faster and make customers happy. We are so confident that ezyCollect works that we guarantee at least to recover $30,000 cash within 60 days or we’ll refund your fees and delete your account, no questions asked. Simply connect your accounting file and be ready to collect within minutes. Manage your receivables automatically with our highly customizable, consistent, persistent, and polite reminder system to save valuable time and increase productivity. Our one-stop-shop lets you handle everything accounts receivables in one, easy to use dashboard. Recover 50% of your overdue debt in 2 months and use the cash to keep your business growing. Take charge. Increase cash flow. Grow your business. "ezyCollect is a must-have for us. We've got our ledger a whole lot cleaner. It doesn't over complicate things. If I hadn't found ezyCollect I'd still be chasing my tail." Collect money online directly from your reminders. Customers click your customised 'Pay Now' button to pay by credit or debit card. Choose to surcharge or even add late payment fees. Setup recurring direct debits. The system tracks open invoices and consistently sends payment reminders so you don't have to. 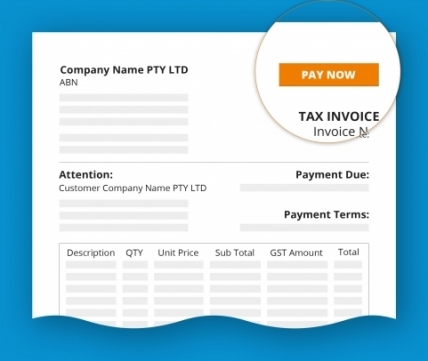 Auto attach invoice copies, collect money online so customers can pay now. Personalise reminder templates, make them your own. Single click to send demand letters, lodge defaults or send to debt collector. Payment delays in Australia are on the rise*. ezyCollect reverses the trend for its customers. "The time I spend on debtor management now is next to nothing."